Abuja – The United States and others on Friday, condemned the killing of three Nigerian aid workers in a Boko Haram attack on a military installation in Borno. “We extend our deepest condolences to the families of the victims and to every family whose loved ones have been affected by this and other terrorist acts. “We voice our heartfelt solidarity with all those humanitarian workers who work every day to help Nigerians affected by the ongoing insurgency. US also expressed sympathy for ‘’all those security forces and Nigerian citizens working together to end this terrorist violence,’’ the Embassy said. The Embassy said that the U.S. remained firmly committed to ensuring humanitarian workers were protected and able to do their lifesaving work. In the same vein, the Coordinator, UN Humanitarian Affairs (OCHA) in Nigeria, Edward Kallon also condemned the killing of three workers by the insurgence. Kallon in a statement by OCHA Head of communications, Samantha Newport, on Friday in Abuja said that apart from those who died and the injured, a female nurse was missing, feared abducted. He said that two of the deceased were contractors with the international organisation on migration while the third victim was a medical doctor employed as a third party consultant with UNICEF. 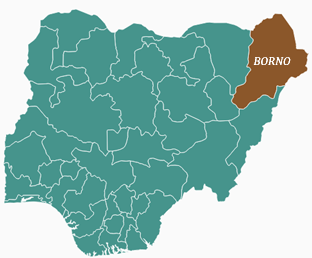 The post U.S., International community, condemn killing of 3 aid workers in Borno appeared first on Vanguard News.